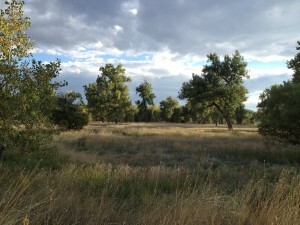 The Sand Creek Regional Greenway is a nearly 14-mile public trail and natural area located in the northeast Denver metro area. The Sand Creek Regional Greenway Partnership is a 501(c)3 non-profit organization that was established to protect, maintain and enhance the Sand Creek Regional Greenway. The Sand Creek Regional Greenway Partnership improves, preserves, and promotes the natural, recreational and cultural resources of the Sand Creek Regional Greenway corridor, including priority trail connections, linking communities throughout the watershed. Thanks to John Fielder for the photograph to the right. SCRGP Founders and Board Members pose at a volunteer event. The Sand Creek Regional Greenway Partnership is governed by a volunteer board of directors that is comprised of individuals from our three partner cities (Aurora, Commerce City, and Denver), with a broad range of experience and interest. To learn more about our current Board of Directors, click here. 1. To promote education about, and community involvement with, the Sand Creek Regional Greenway through providing environmental education, recreational opportunities, and volunteer programs to neighbors and youth in Aurora, Commerce City, and Denver, targeting low income populations. 2. To promote public awareness to increase utilization of the scenic, natural, historic, cultural and recreational resources within the Sand Creek Regional Greenway. 3. To enhance and improve the Greenway through public and private participation in Sand Creek Regional Greenway projects and events through donations, volunteering and greenway construction projects. 4. To preserve and improve resources by raising funds by utilizing individual, foundation, governmental and corporate sponsorships and donations to support Sand Creek Regional Greenway programs and projects. Click here to learn more about our trail. 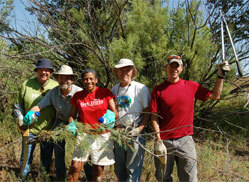 Click here to learn about upcoming volunteer opportunities on the trail. 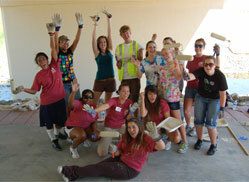 Click here to learn about our youth outreach program.